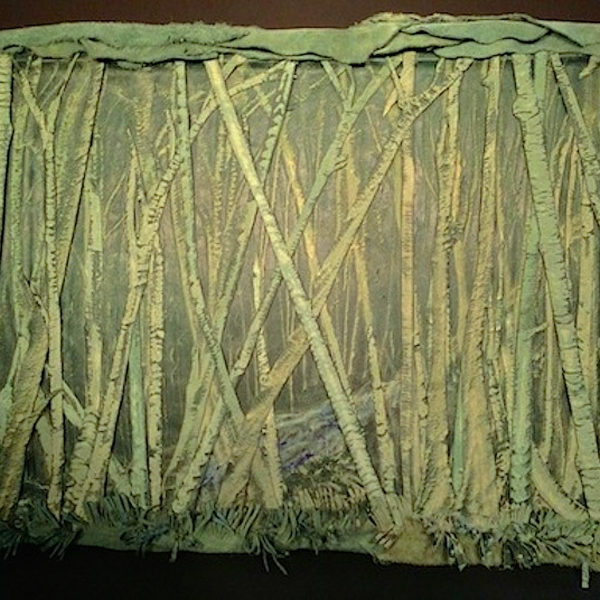 Priced from $150. – $450. 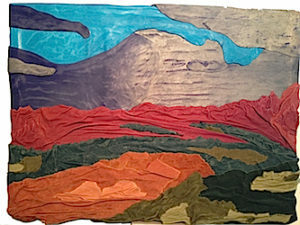 Leather Landscapes are one-of-a-kind wall pieces intended to celebrate the raw organic nature of the repurposed leather. 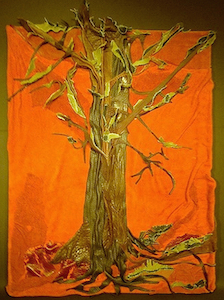 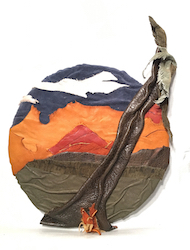 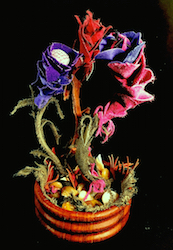 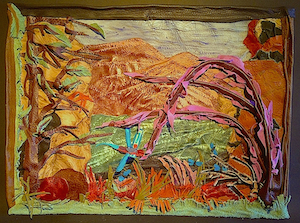 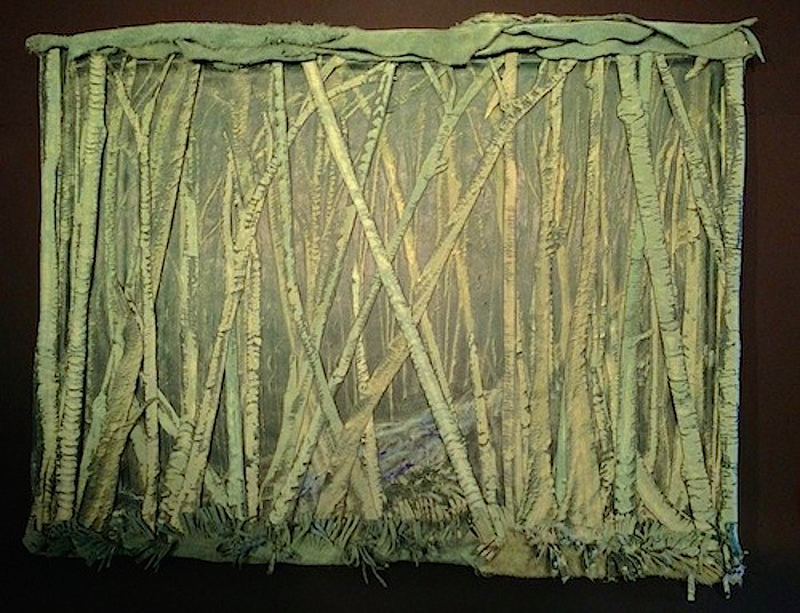 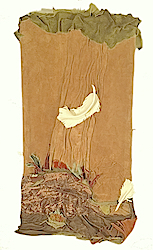 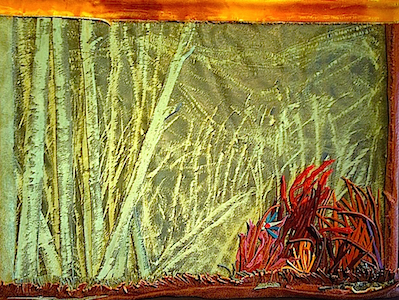 Finished landscapes often include leathers rescued from dozens of different recycled & repurposed leathers that the artist has salvaged from worn leather garments or worn & discarded leather furnishings made from the hides of cow, pig, deer, elk and buffalo. 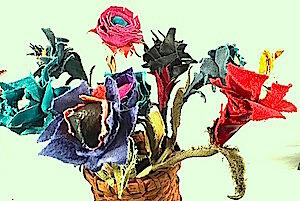 Priced from $150. 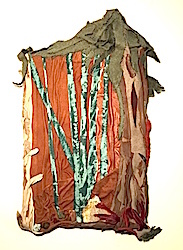 – $450. Leather Landscapes are one-of-a-kind wall pieces intended to celebrate the raw organic nature of the repurposed leather. 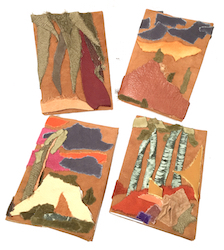 Finished landscapes often include leathers rescued from dozens of different recycled & repurposed leathers that the artist has salvaged from worn leather garments or worn & discarded leather furnishings made from the hides of cow, pig, deer, elk and buffalo. 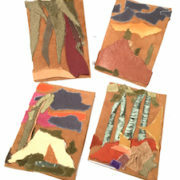 Using recycled cork boards or other found objects as a canvas, each landscape is pieced together in a time intensive layering process using low-e adhesives to bind and affix the leather. 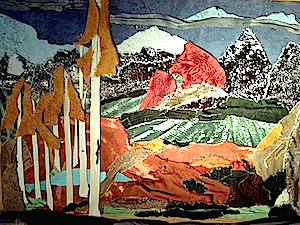 A finished landscape typically has a depth of 2-3″ and the imagery often extends beyond traditional rectangular boundaries offering a 3-D perspective to the imagery. 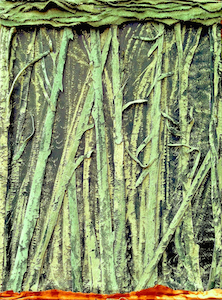 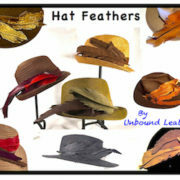 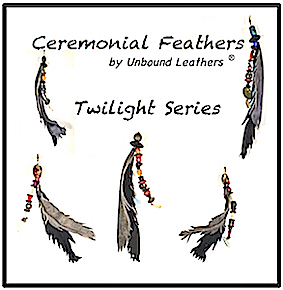 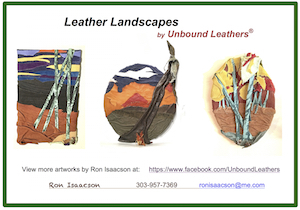 Contact the artist at ron@unboundleathers.com for images of available Leather Landscapes.